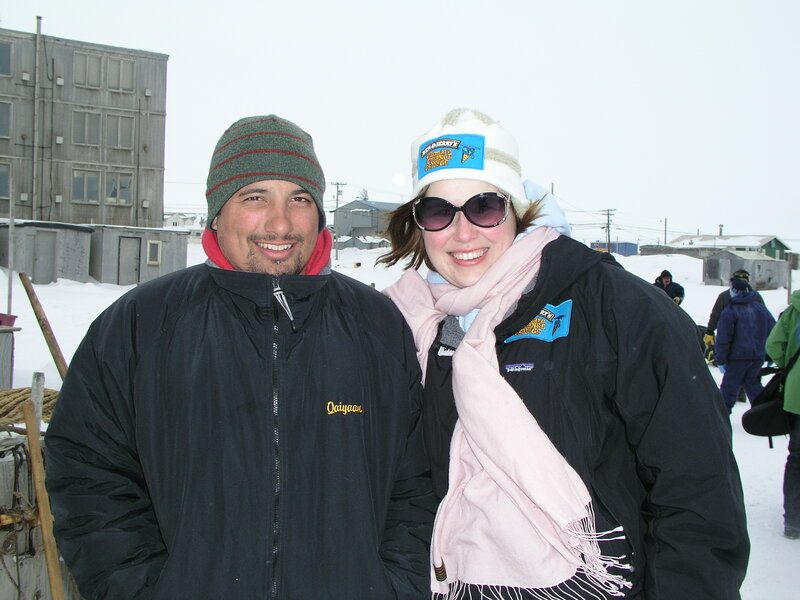 Cara and Kayan – “Give me a solar-powered snow mobile and I’ll use it” was the young Eskimo’s quip in Barrow, Alaska, in 2008. Back in 2008, the Ice Blog was born when I was on a trip to Alaska reporting on the “Climate Change College”, a joint project by WWF and an ice cream company to interest young people in climate change. Young climate ambassadors from Europe had won a trip to Arctic Alaska to find out first hand about the impacts of climate change – and to meet with young people in the region. I am still in contact with some of the ex-ambassadors, who are continuing to make contributions to climate and environment protection in their careers and everyday lives. Cara Augustenborg in this photo is a successful academic, entrepreneur and Green Party candidate in Ireland. 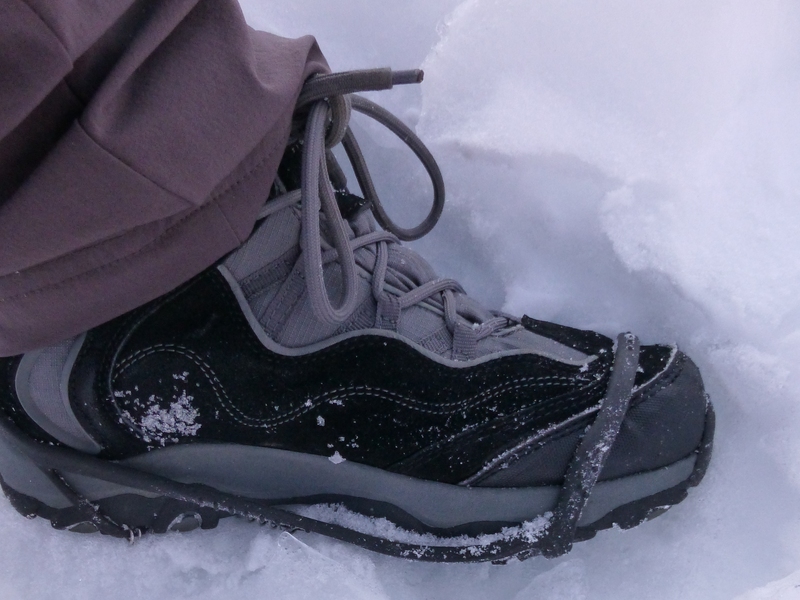 Kayan, I wonder if you are still in Alaska and if you ever got yourself an environment-friendly means of transport? Anyway, I have Elías Thórsson from the Arctic Journal to thank for drawing my attention to a new youth project inside the Arctic: YAC, the Youth Arctic Coalition. It sees itself as “Youth collaboration to address environmental, economic and social challenges and opportunities in the Arctic”. The latest edition of the Arctic Journal has a story by Elías on the group and the need to include young people in decisions on Arctic issues, headlined “Carpe Arcticum”. 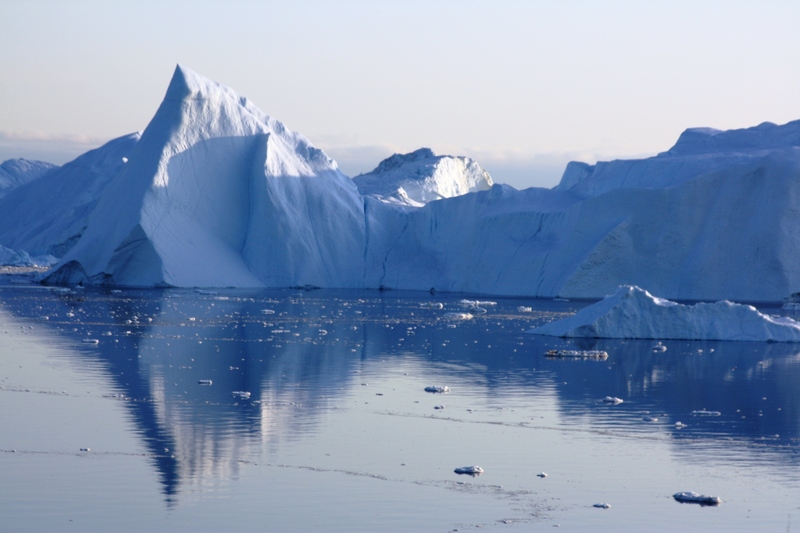 Indeed, the Arctic is one of the fastest changing places on the planet. With countries as far away as China or Japan making their interest(s) plain, what happens in the Arctic today will have a huge impact to the region future generations in the High North will inherit. During my latest visit to Arctic Norway in January, young protesters in Tromso told me of their fears about the environmental impacts of Arctic oil drilling. During visits to Alaska, I spoke to young Inupiat residents who were more concerned about jobs and hoping to continue to benefit from wealth from the oil industry. In Greenland, some of the youngsters I spoke to were torn between concern about the melting ice and changes to the lifestyle they had grown up with, and the hope that climate change might bring jobs and prosperity to their Arctic island. The YAC, which held its inaugural conference in February, is trying to bring young people from across the Arctic together to have their say in what is happening. It is not an easy task, as Elías explains in the article. Clearly, views amongst young people will cover as wide a spectrum as those of any other generation. But they will be united in their interest in looking beyond the short-term interests which influence business and politics today. So good luck to YAC and here’s hoping your organization will attract a lot of interest. 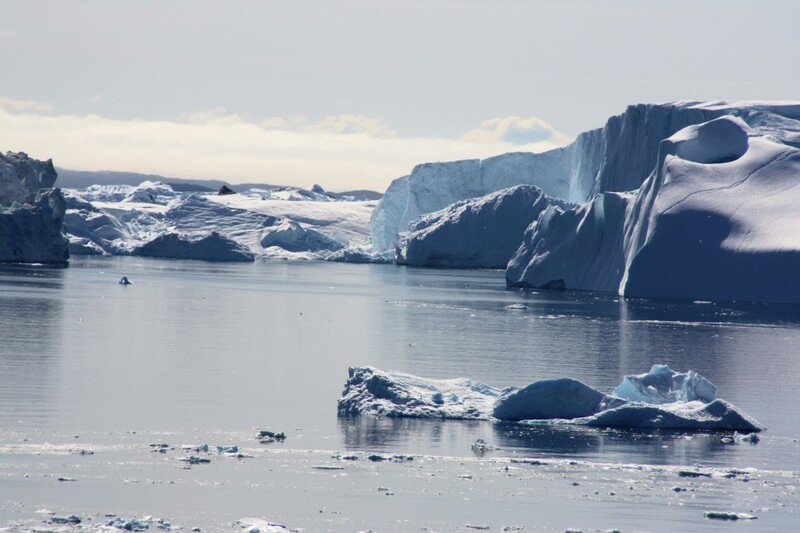 And that it will inspire a lot of active participation to shape a sustainable future for the Arctic and represent the interests of coming generations in a region in danger of losing its identity amidst the ever-faster changes caused by a warming climate. Norway, believe it or not, is having problems recruiting scientists and qualified personnel for the Arctic. The generous education system attracts plenty of foreign students, it seems. But there is a lack of Norwegian PhD students. Not that the country doesn’t welcome foreign students, but understandably they would like to have people who stay on in the Norwegian Arctic as well as those who take their qualifications back home to wherever. 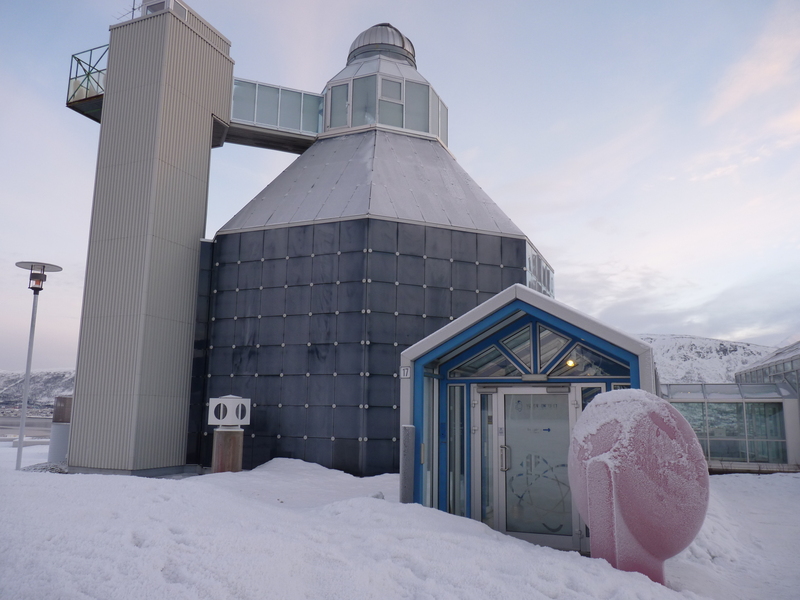 For that reason, the Arctic Frontiers conference and APECS, the Association of Polar Early Career Scientists decided to “start them young” and invited pupils from two local schools to an Arctic science workshop in the planetarium of the Tromso Science Centre, the country’s northernmost. As I arrived, I found myself overtaken by youngsters rushing down to have a look at the gadgetry and a hands-on shot at scientific experiments. 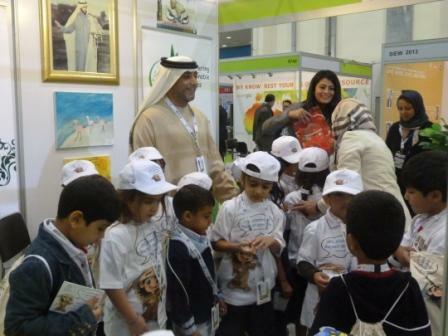 This is the kind of place that interests young people in the workings of nature and technology. Kirsten and Ida talked to me (in English, great language skills) about their project. They had made a poster of the type displayed at scientific conferences. Their subject: Persistant Organic Pollutants, POPs. They told me the increasing concentration of these up here in the remote Arctic environment is something that worries them. 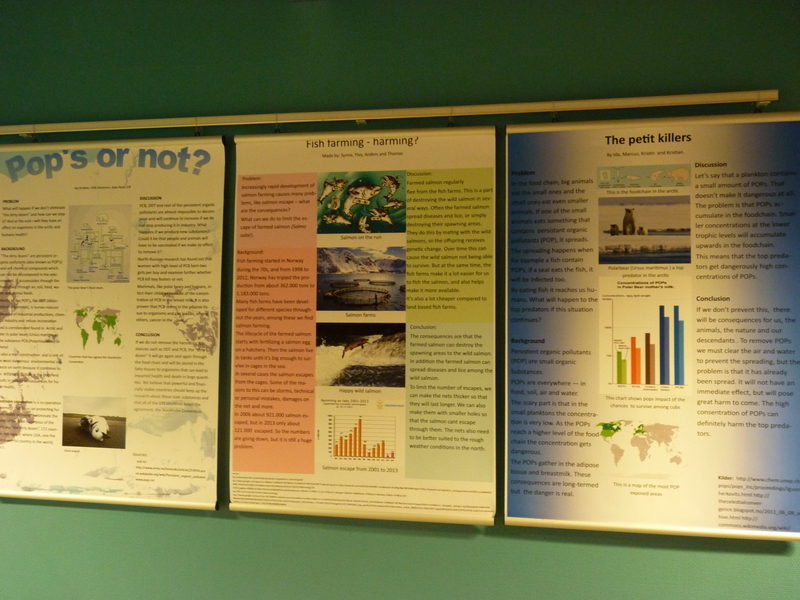 The posters are entered in a competion, with awards and attendance at next year’s big Arctic conference event awaiting the winners. 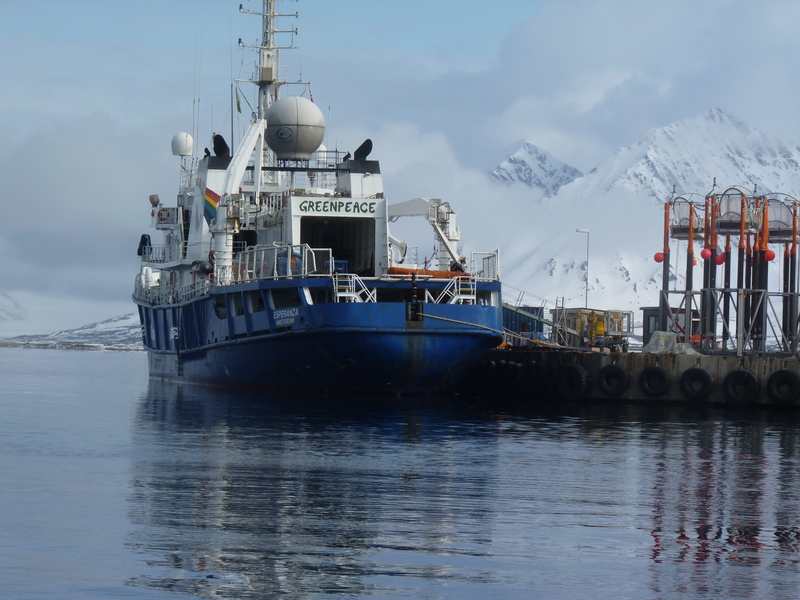 The girls were reserving judgement about whether Arctic science would be their future careers. But they were willing to give it due consideration and looking forward to the “science show” at the planetarium. Let’s see which pupils turn up here again next year! 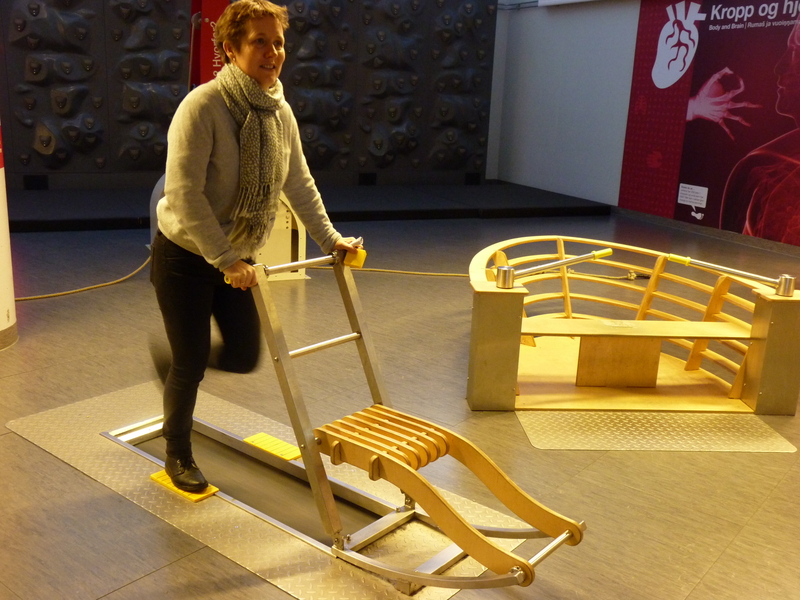 Centre Director Tove Marienborg demonstrates the energy involved in using the “Spark” or kick-sled. 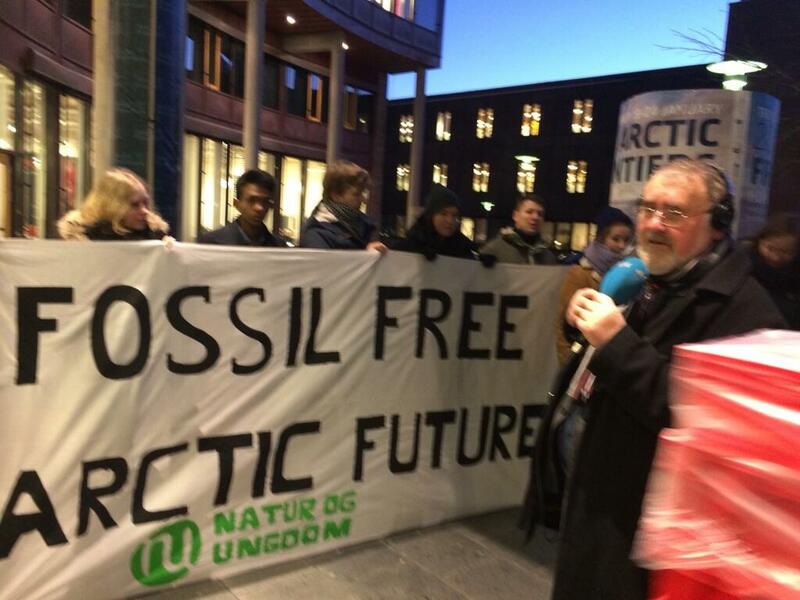 I arrived at the university campus for Arctic Frontiers this morning to find a row of young people waiting to welcome the Norwegian Prime Minister Erna Solberg with a banner protesting against fossil fuel drilling in the Arctic. Ingrid Skjoldvaer, the deputy leader of Norway’s biggest youth environment organisation told me they want the prime minister to stop Arctic drilling in Norwegian seas and be serious about cutting emissions and taking their climate goals seriously. She knows it brings in a lot of revenue, but says we need to start a transition now for a future with renewables. WWF’s Nina Jensen told me she thinks there is a growing awareness in Norway of the link between fossil fuel emissions and the climate change that is affecting the Arctic so dramatically. 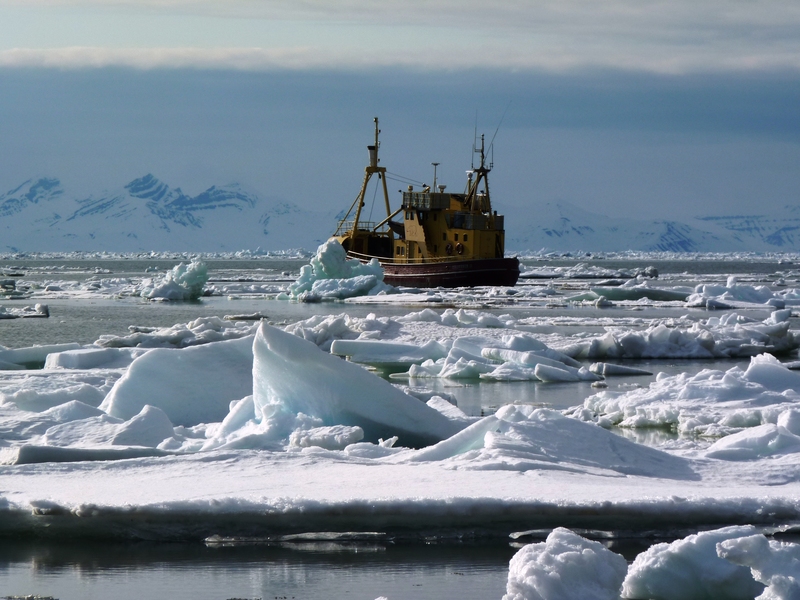 No future without Arctic oil? In her address to the conference, PM Solberg was clear about the continuing importance of oil and gas drilling for Norway. 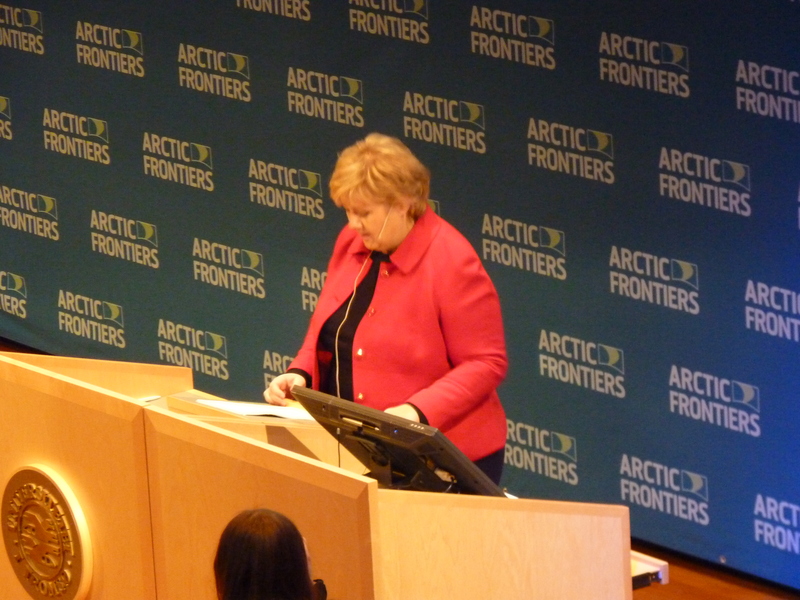 In a speech focussing on the goal of making northern Norway an “innovative and stable region” and an “attractive place to live” through sustainable development, it became clear that fossil fuel extraction is an integral part of her policy to give people living in the region employment, education, improved infrastructure and maritime safety. At the same time, she stresses, this domestic policy priority is in line with growing international interest in the Arctic. 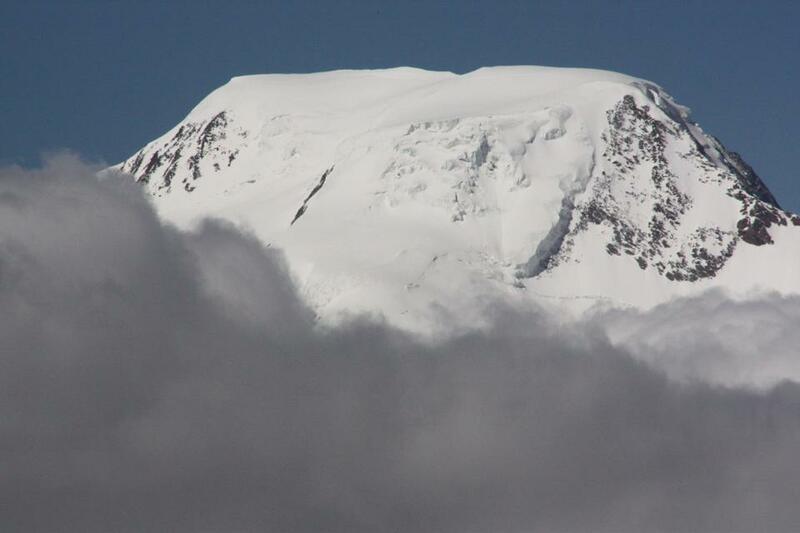 There was acknowledgement of the problems caused by climate change. But the young people outside will have been disappointed if they hoped for any signs of a shift in fossil fuel policy (not likely in this context or in general with agreement across the parties that Arctic development is key, it seems). WWF’s Nina Jensen told me afterwards she had not expected much else, but was pleased that climate change had at least been mentioned repeatedly in the speech. 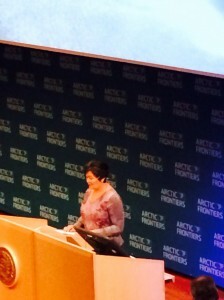 The PM stressed the government’s investment in research and development as part of the “need to seize new opportunities and meet new challenges in a rapidly changing Arctic.” The main challenge facing the High North is the lack of qualified labour, she said, stressing also that oil and gas are important areas for future developments. Clearly, the country, whose wealth is based on revenue from oil in the past, is going full speed ahead for Arctic development. Sustainability? Always mentioned, but there still seems to be no answer to the question of how drilling for Arctic oil and continuing climate-changing emissions from fossil fuels can be sustainable. 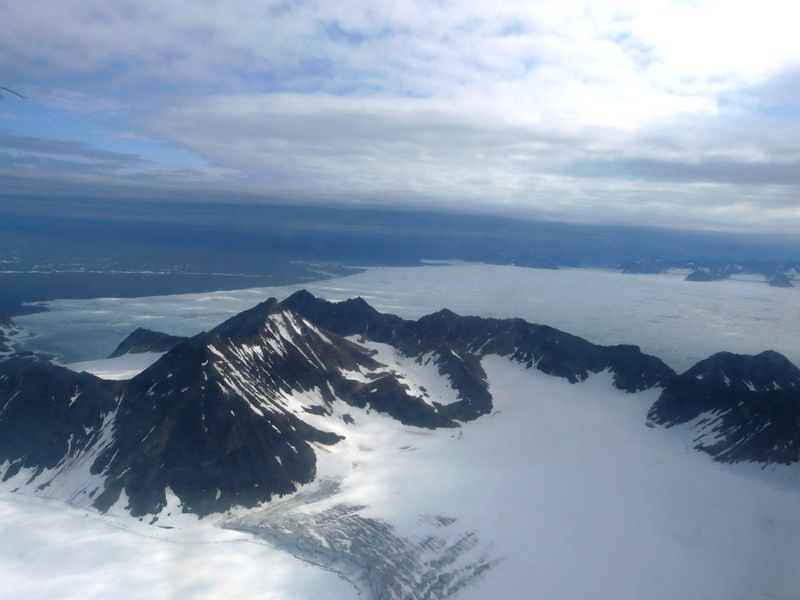 Imagine a giant island with 3 climate zones, being pushed almost 2km northwards each year. That statistic was quoted by Greenland’s premier Alequa Hammond in her speech. 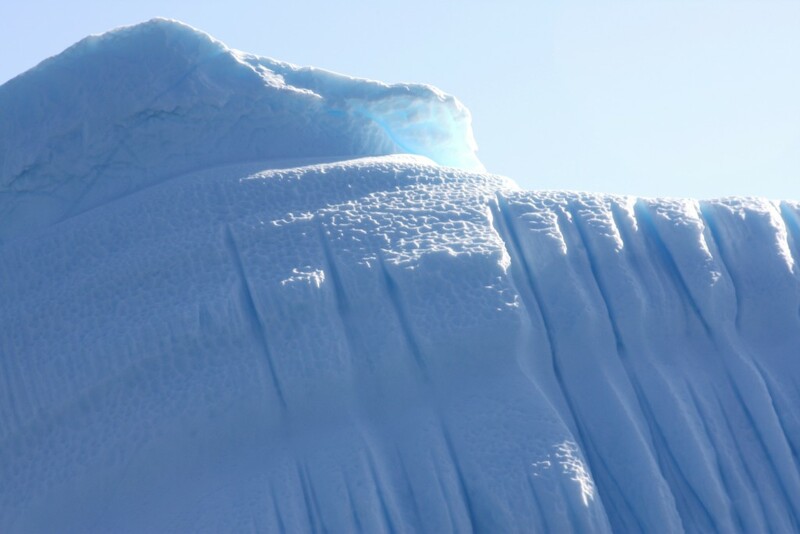 It illustrates graphically the huge changes facing the environment and people of the world’s biggest island with the ice sheet that contains the biggest amount of water in the northern hemisphere and is of key importance to the world climate and global sea levels. I had awaited the speech by Greenland’s premier Alequa Hammond with interest and was not disappointed. She started by saying she was going to talk not primarily about oil, gas and mining as most might expect, but health and the environment. (Not that the two are unconnected). In her talk, she brought home the effects of climate change on the traditional lifestyles of indigenous Greenlanders in what seemed to me an authentic and sincere way. As well as the melting ice problem, she talked of the contaminants polluting the environment and finding their way into Arctic mammals. Whether you just love them as part of our biodiversity for the sake of it or want them for your food supply, pollution from industrial activity far, far away, is endangering animal life up here. Hammond is a realist. She knows her small country needs revenue to achieve the goal of full independence from Denmark. But she is also well aware of the negative impacts of rapid industrialisation on a people traditionally very close to nature. While physical health has been improved by better housing, nutrition and health care in the last 50 years, Hammond stresses the negative mental and physical health effects of a loss of traditional values. 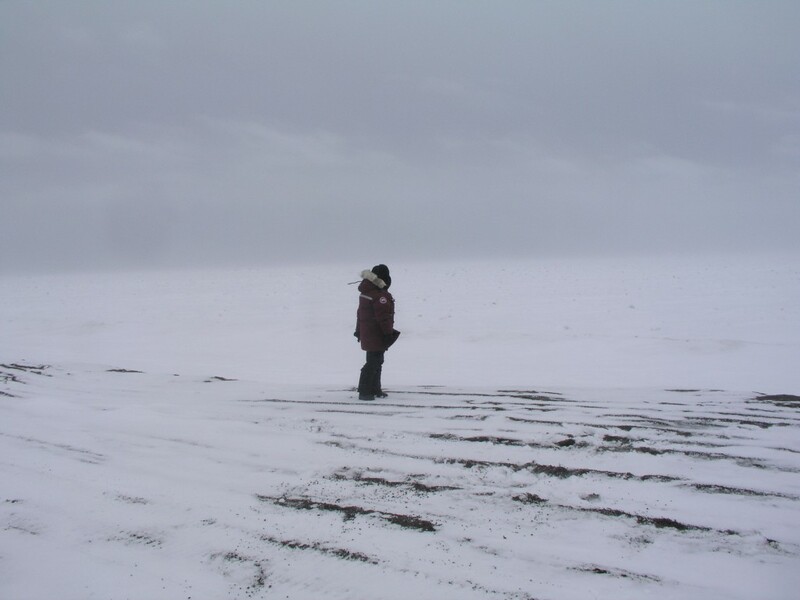 She mentioned the above-average suicide rates in northern circumpolar areas. Then there are chronic illnesses and heart disease brought on by a shift from hunting and fishing to “office-worker lifestyle”. 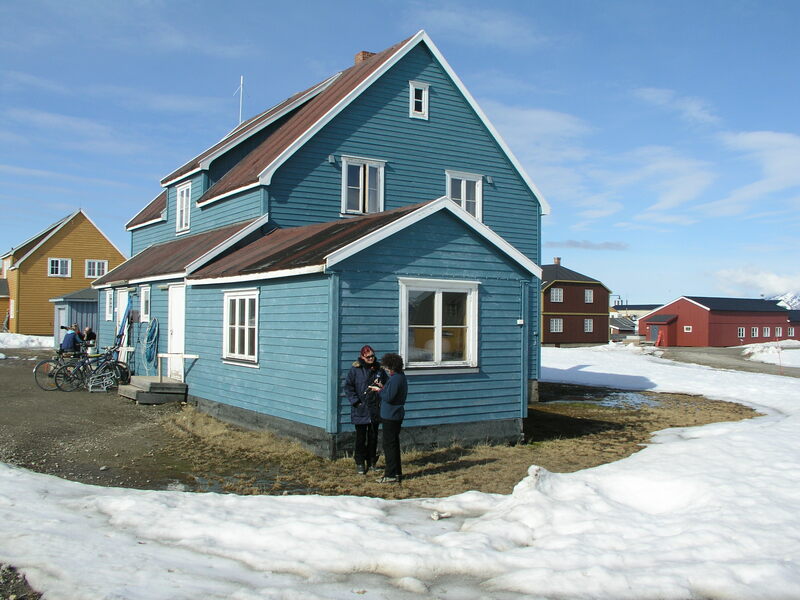 Urbanisation is another factor, with 80% of the 15.000 Greenlanders living in the capital Nuuk and only 20% in villages, whereas just 100 years ago everyone lived in small settlements. Hammond identifies the dilemma: How to bring Greenland the prosperity it needs using easier access to oil, gas and minerals, made more accessible through climate change, without destroying a society rapidly being catapulted from a traditional nature-based rural lifestyle into the realities of the industrialised, commercialised, globalised world where the environment has at best secondary priority? She talked a lot about the special relation with Denmark, the former colonial power. For her it is clear that Greenlanders have the right to complete self-determination – without losing that close relationship. There was just one thing that I did not find adequately addressed in Hammond’s presentation. She made a clear case for the need for environment protection. We need to do more on maritime safety, oil spill preparedness, cost-effective surveillance solutions to detect oil spills, search and rescue. But when she proudly refers to her government’s controversial decision to abandon the country’s zero-tolerance policy of mining uranium and other minerals with radioactive content, I find it hard to see how this fits. Another clear message was that outsiders should not interfere. While Hammond said she approved of the decision to have non-Arctic speakers at Arctic Frontiers (and at a time when the secretariat of the Arctic Council here in Tromso is holding a high-level closed doors meeting discussing the role of the many observers to the body), she said “It is clear for me that development in the Arctic should be given by the needs and inspirations of the people of the Arctic. 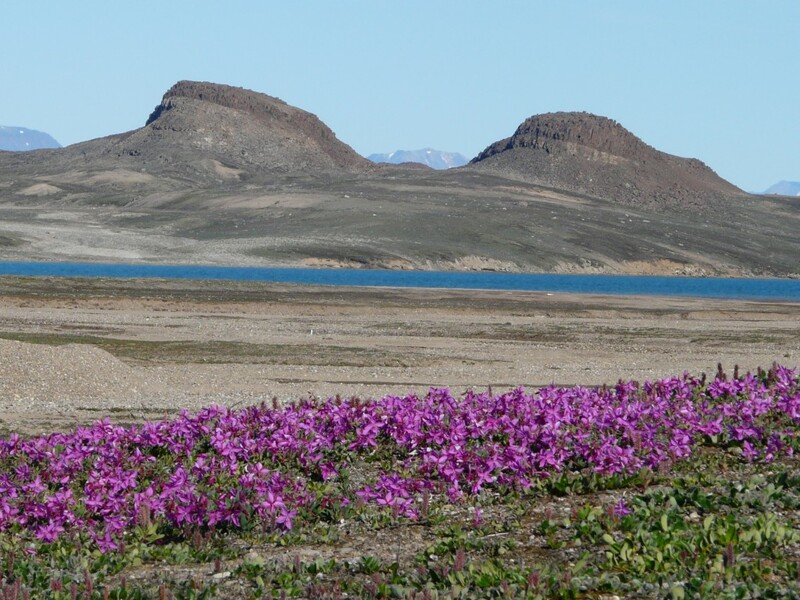 Anything else would be wrong.” At the same time she appealed to any new partners in the Arctic to bear in mind that even small changes will have a big effect on a small indigenous population. Perhaps this reflects the realistic knowledge that developing the Arctic will not be possible without the economic power and the expertise of outsiders. Fine food for thought on this final day of the political part of a conference on “Humans in the Arctic”. NGOs at the World Future Energy and Water summits? There are countries, companies and international organisations (UNEP, IRENA) galore exhibiting at the big hall here in Abu Dhabi. The only big international environment ngo with a presence appears to be WWF, which works together with EWS, the Emirates Wildlife Society. All the greater was my disappointment when I was refused entry to an official side event organised jointly by these two groups on the “Role of Renewable Energy in the GCC”. Since that is the main focus of my trip here, I was keen to get the WWF perspective on this. I was actually asked to leave the room, so wasn’t able to hear the representatives of UAE, Qatar, Saudi Arabia and Oman talk about their projects, chaired by Samantha Smith, the leader of WWF International’s Global Climate and Energy Initiative. Frustrating to have missed out on that opportunity, to which I had felt officially invited. In Trondheim at the weekend, I came across this group of young people from Natur og Ungdom, or “Nature and Youth”, also known as Young Friends of the Earth Norway. Good to see the young generation taking an interest in our future energy supplies.